Still Delicious, Try Our Plain Cheesecake Recipes! 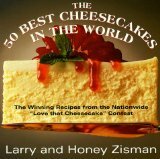 Plain cheesecake recipes "take the cake" for best dessert idea! 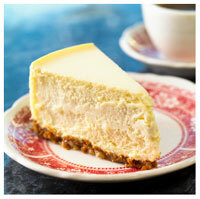 Stripped down to the basics, plain cheesecake recipes "take the cake" for best dessert idea! Even without the fancy fillers, sauces and decoration, they still remain creamy, smooth and sophisticated. I've said it before and I'll say it again...."I love cheesecakes! So plain and simple, standing on a plate unadorned and without a lot of embellishments....plain cheesecake recipes still rock my cheesecake world. Here's a favorite made famous by "Eli's Cheesecake" in Chicago. What's your favorite? Let us know by clicking here. 1. For the crust: Beat the butter and confectioners' sugar together on medium speed until light and fluffy, about 3 minutes, scraping down the sides of the bowl with a rubber spatula as needed. Add the vanilla and mix until combined, about 30 seconds. Add the flour and the salt and beat on low speed until just combined, about 30 seconds. 2. Empty the mixture into an 8-inch springform pan (I used an 8 1/2" pan with no problems) and press it evenly into the bottom of the pan. Refrigerate until firm, about 30 minutes. 3. Meanwhile, adjust an oven rack to the lower-middle position and heat the oven to 350°F. Prick the chilled crust several times with a fork and bake until golden, about 20 minutes. Transfer to a wire rack and cool completely. Adjust the oven rack to the middle position, maintaining the oven temperature at 350°F. 4. For the filling: Beat the cream cheese on medium-low speed to break it up and soften it, about 1 minute. .Add half the sugar and beat on medium-low speed until combined, about 1 minute. Scrape the bowl. Beat in the remaining sugar, flour, and salt until combined, another minute. Scrape the bowl. Add the sour cream and vanilla and beat for a minute. Add the yolk and beat for another minute. Add the eggs, 1 at a time, and beat for a minute after each addition, scraping down the bowl as necessary. 5. Brush the sides of the cooled springform pan with melted butter. Set the pan on a rimmed baking sheet to catch any spills. Pour the filling onto the cooled crust and bake until the cheesecake is firm around the edges and barely jiggles in the center, around 50-60 minutes. Transfer to a wire rack and cool for 3 hours, then wrap tightly with plastic and refrigerate for at least 3 hours and up to 4 days. 6. Unmold the cheesecake about 30 minutes before you want to serve it. Enjoy with a dollop of whipped cream and/or some fresh strawberries.